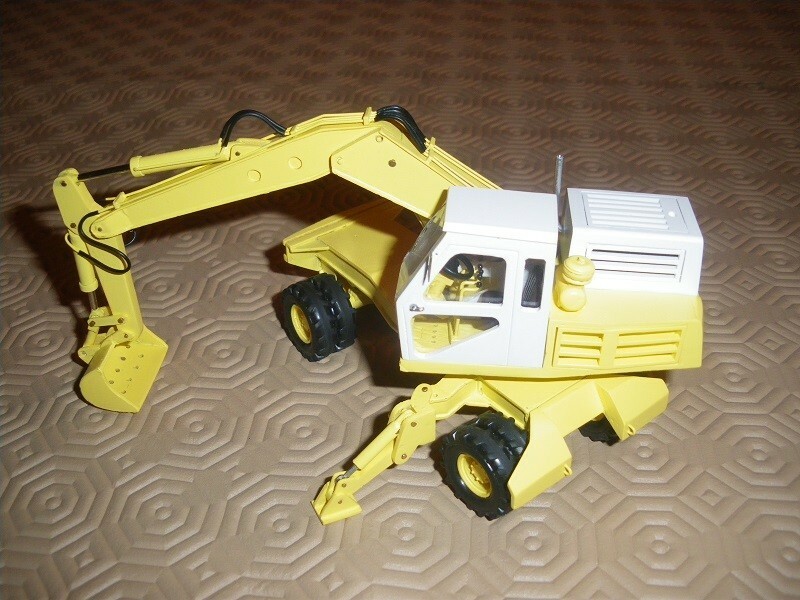 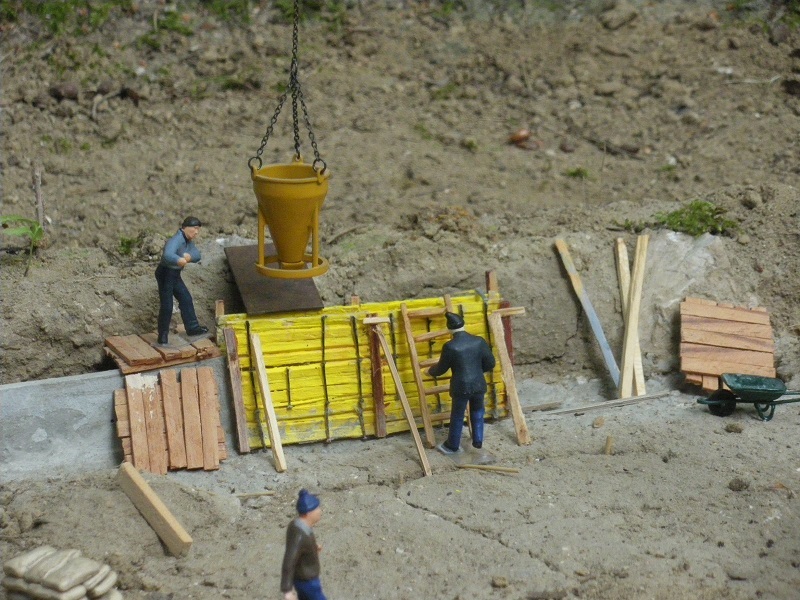 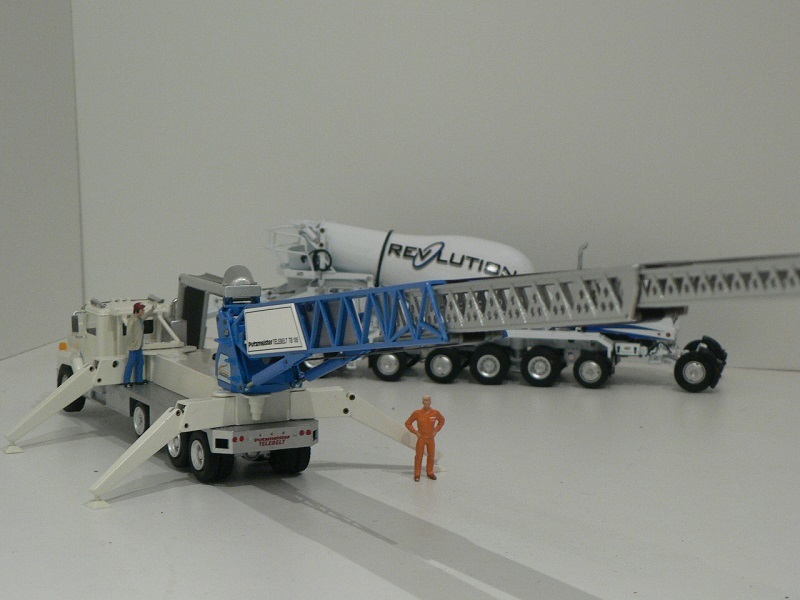 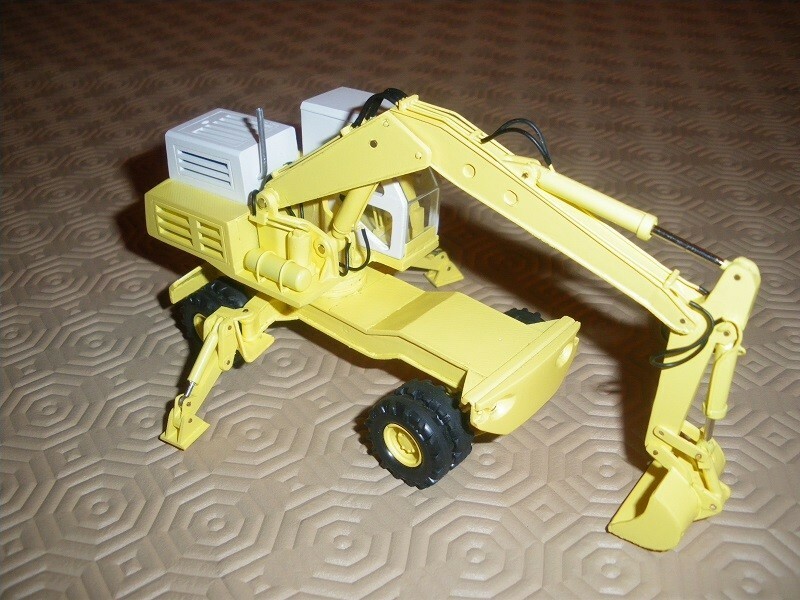 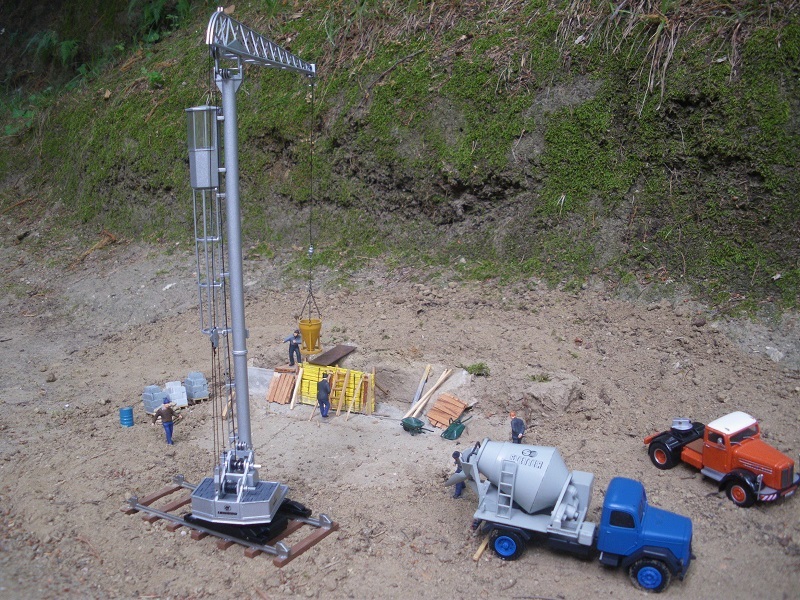 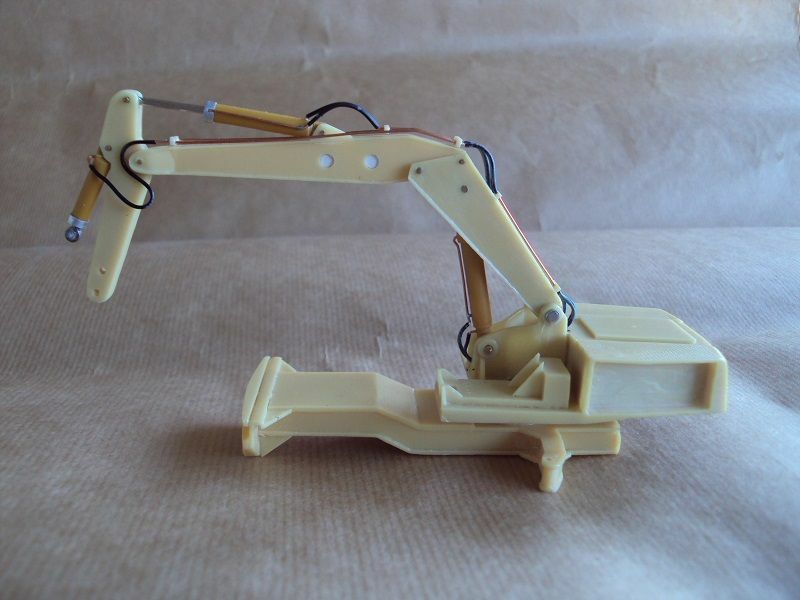 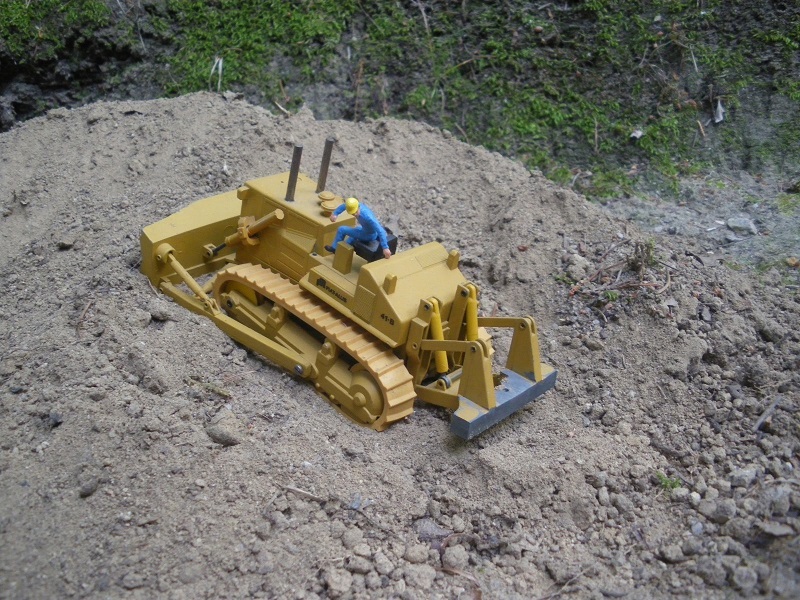 Guy the Yumbo excavator looks great, I take it that is resin cast. 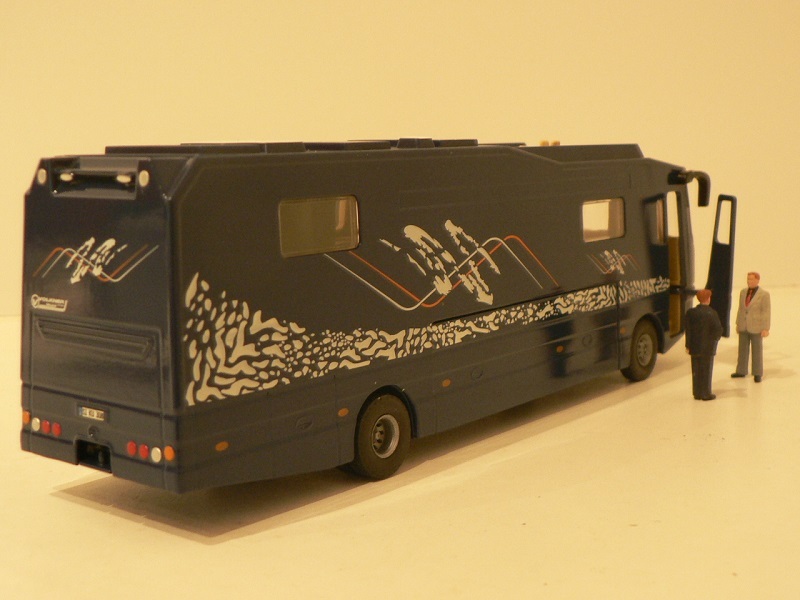 It has some very nice detail. 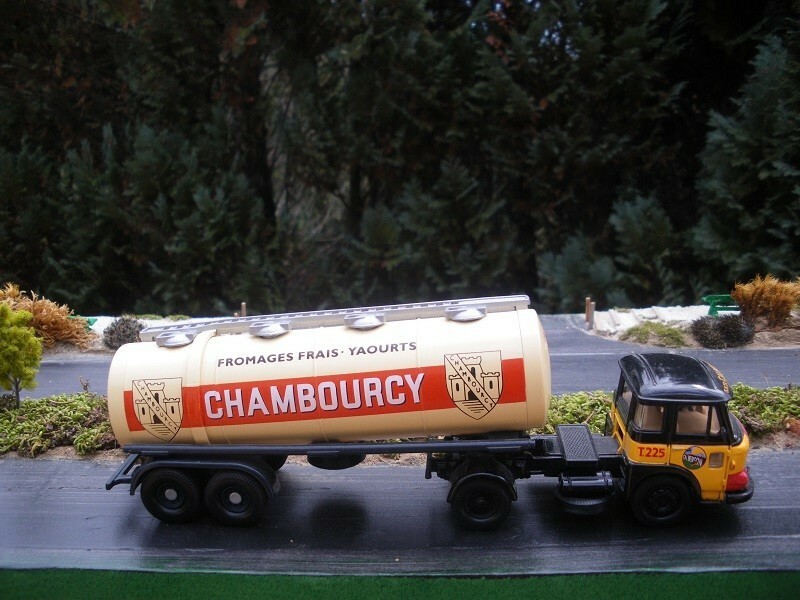 Difficult on this one to state definitively who is responsible for details. 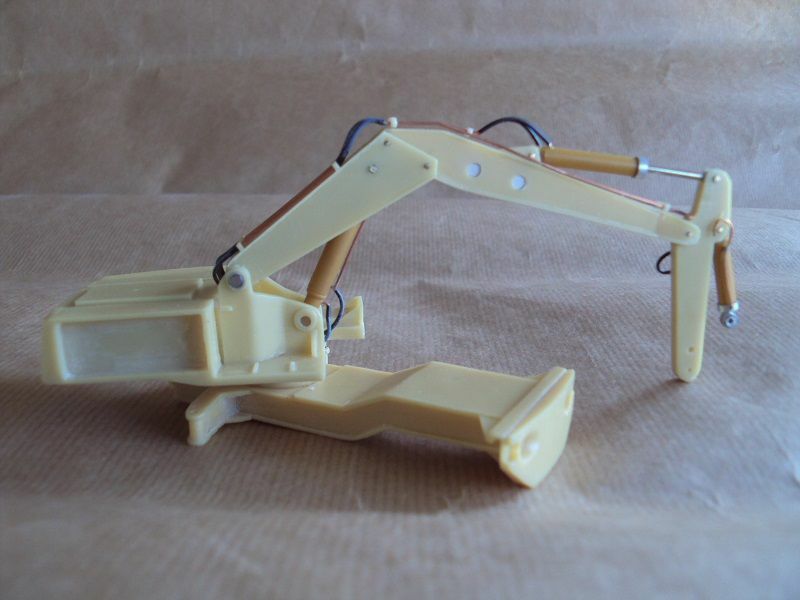 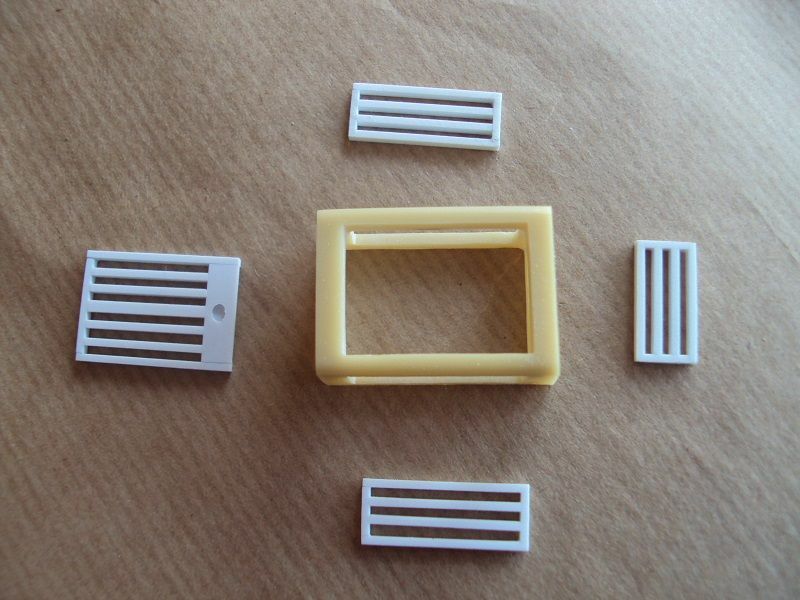 Guy thanks for the information on the Yumbo, it looks like it would be a nice build. 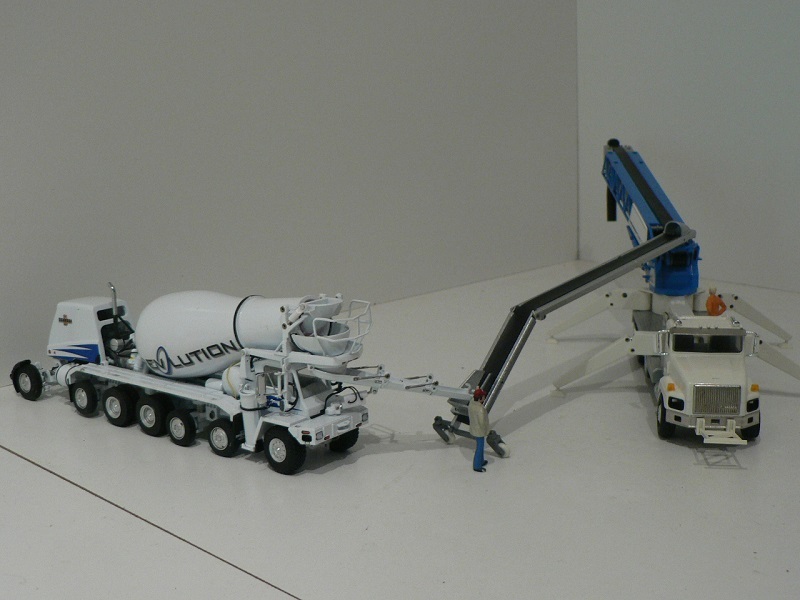 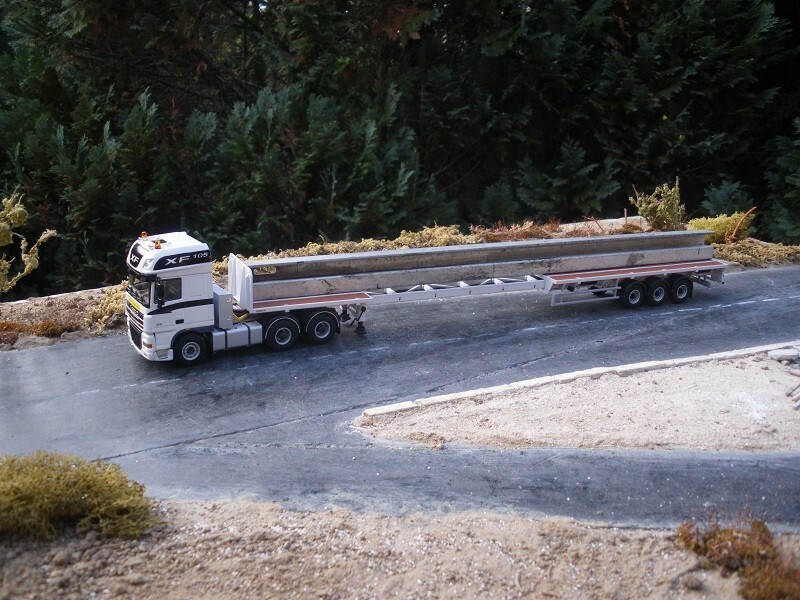 Note (*): Siku reproduced on this model - that was extremely well captured, if I may say so - the wall-out ("opening cupboard") function on the left side of the truck, allowing for on-board living extra surface and the integrated garage with its sliding bed (opening to the right side). 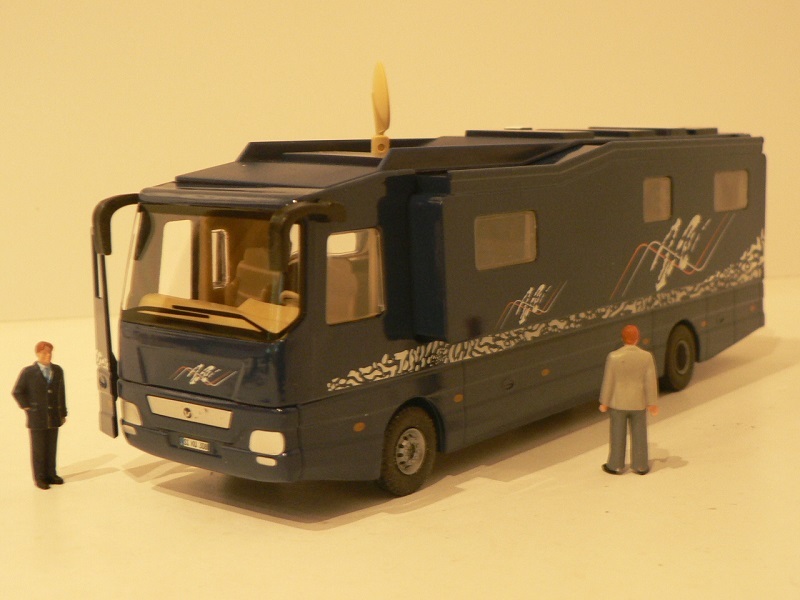 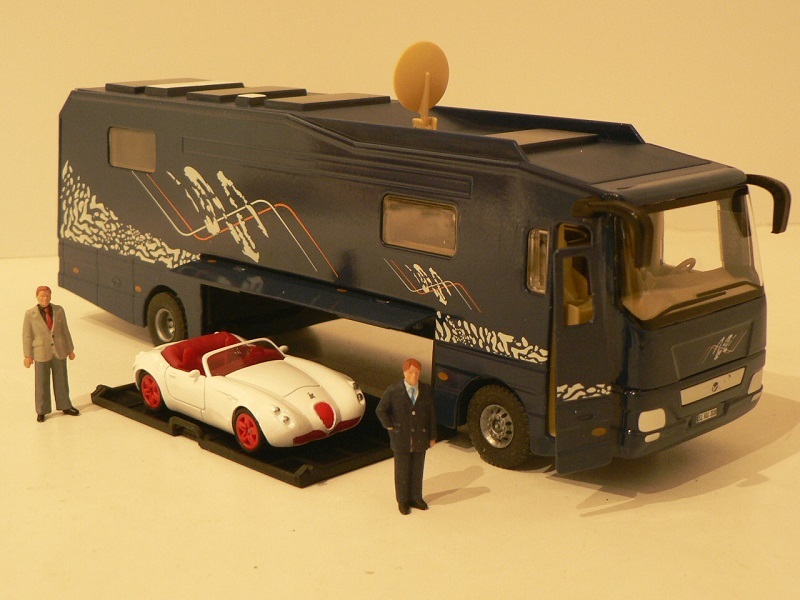 Pity that the car delivered with the motor home is a standard 1/55 scale Siku product and that they didn't produce a 1/50 version of it. 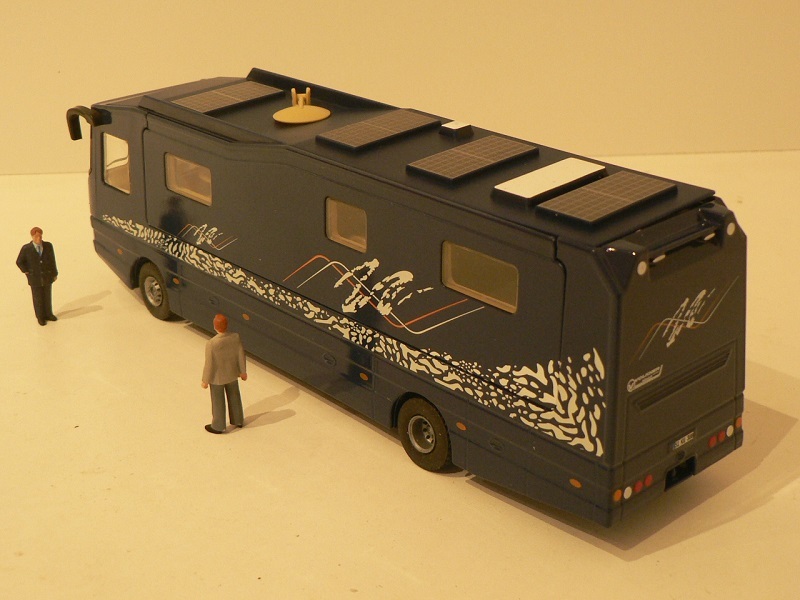 Guy great models, that motor home with the garage is unique. 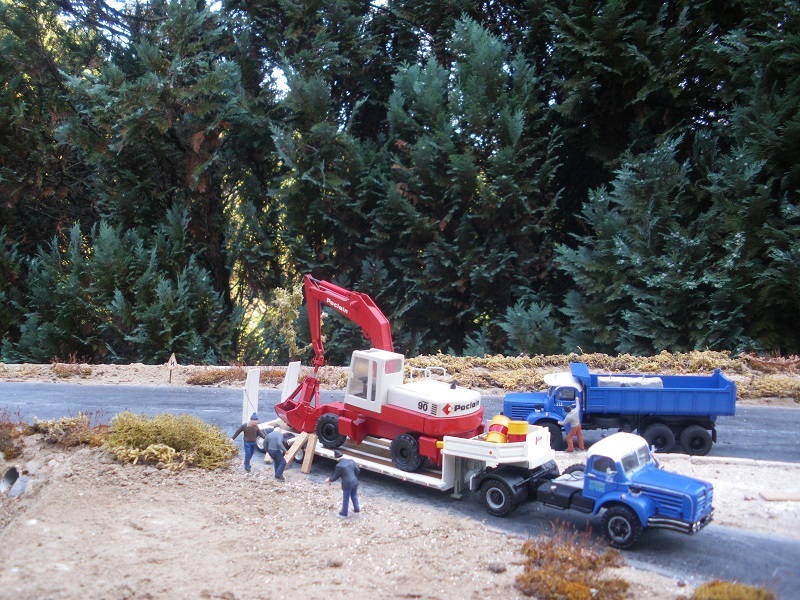 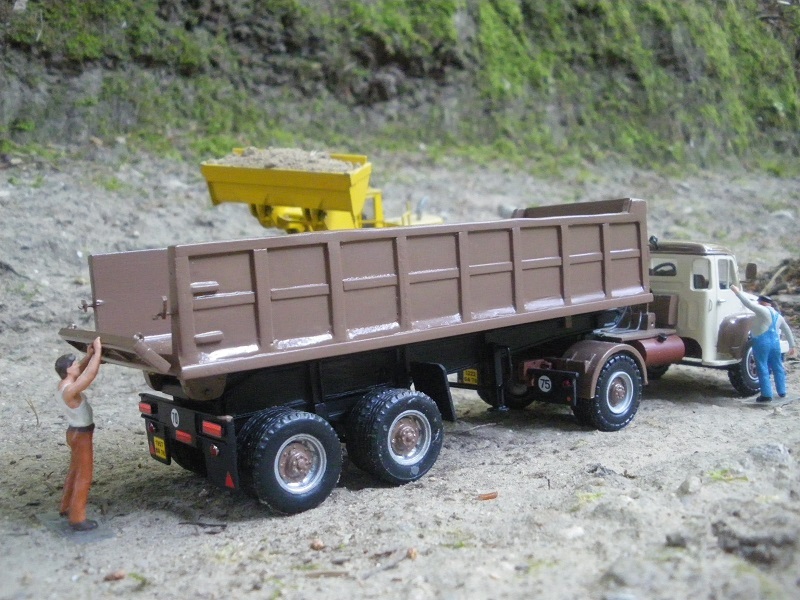 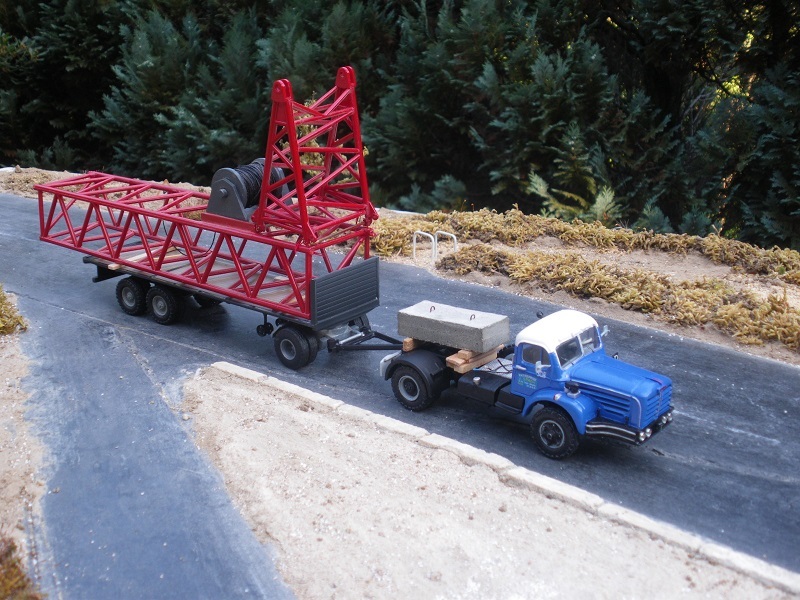 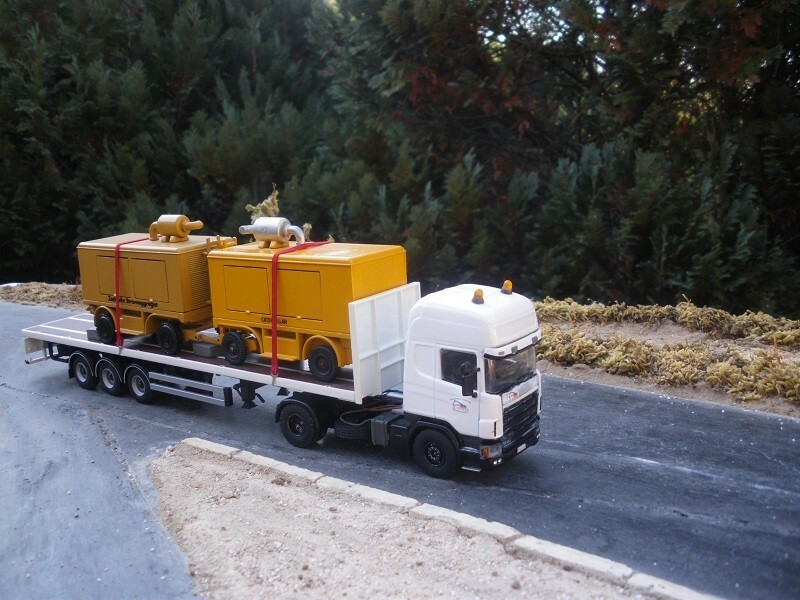 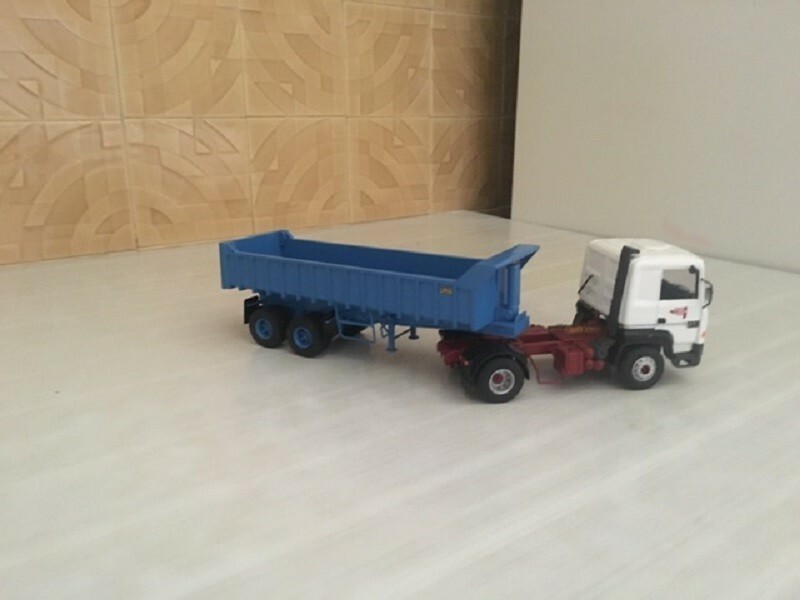 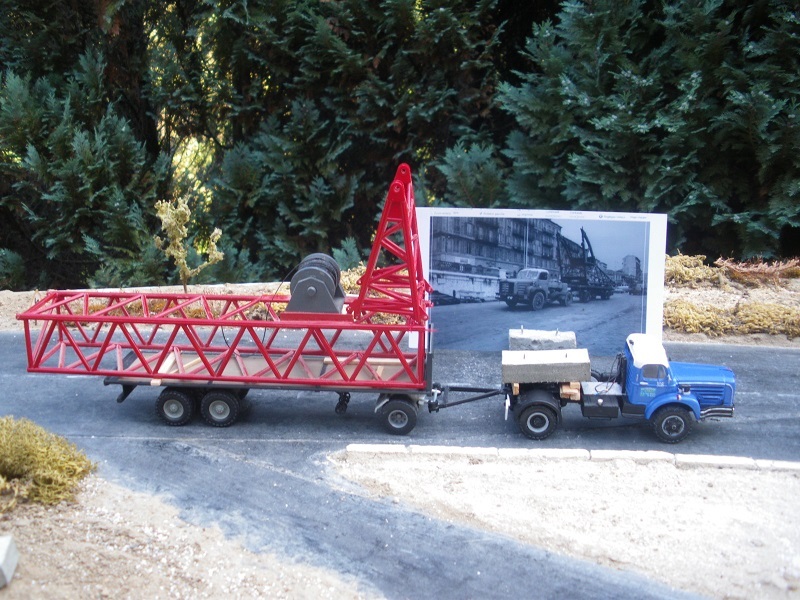 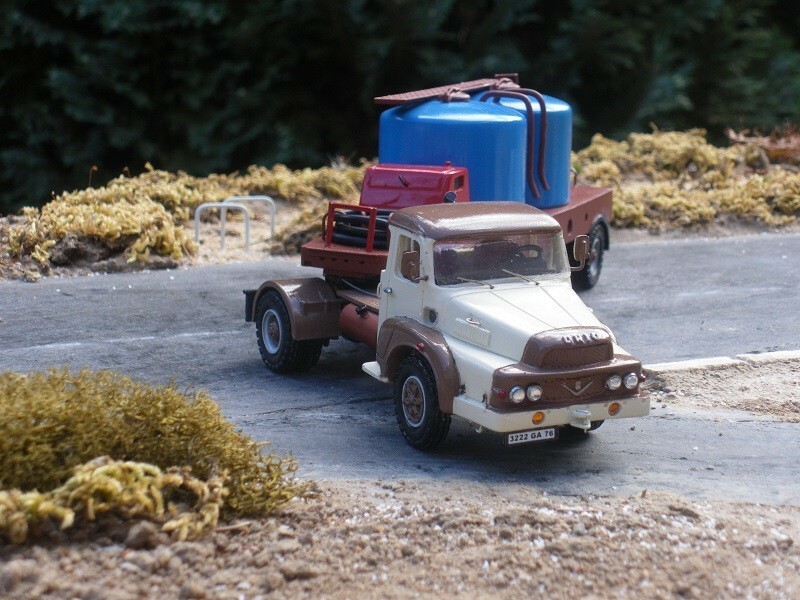 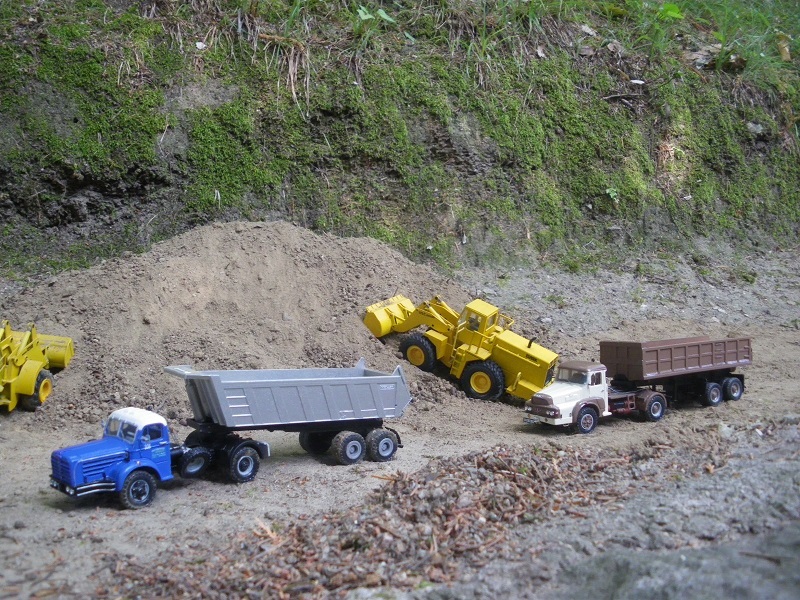 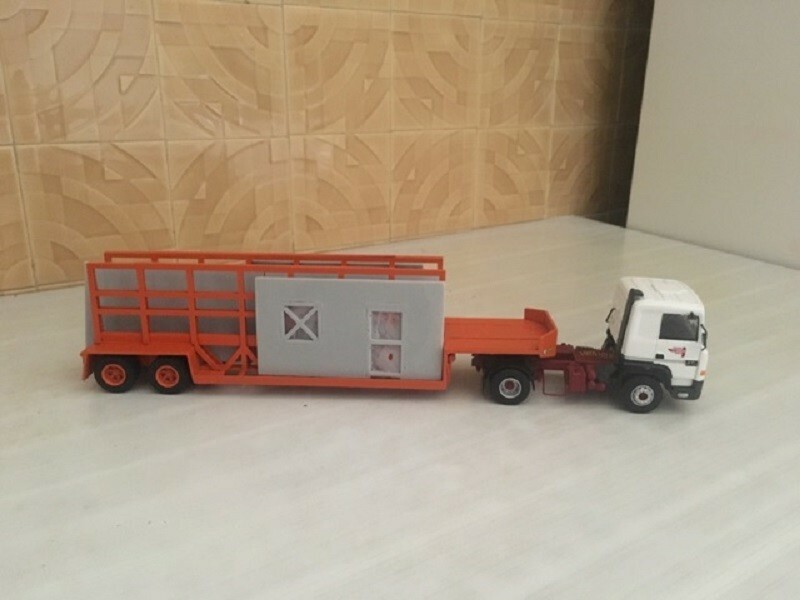 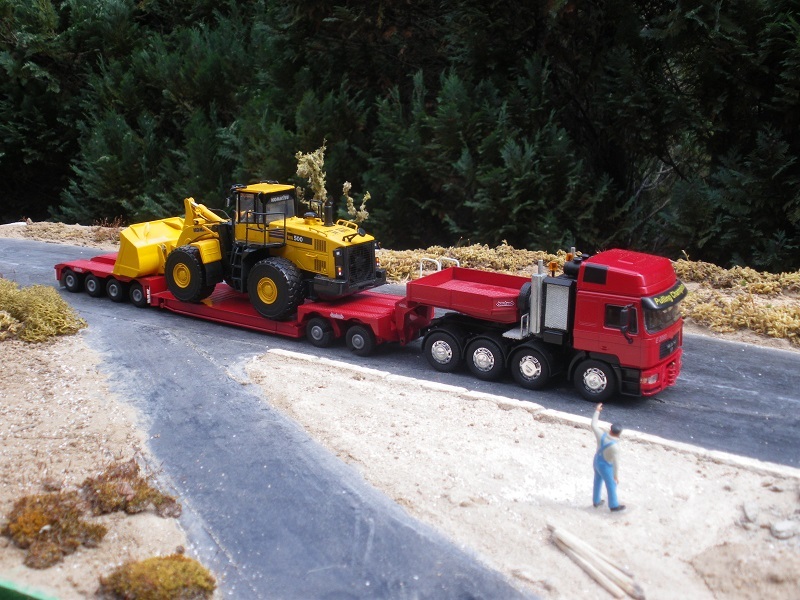 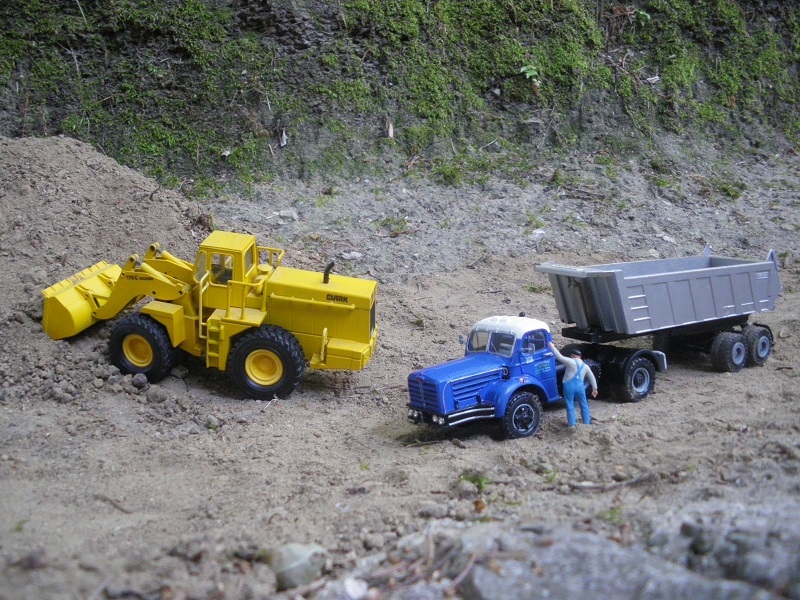 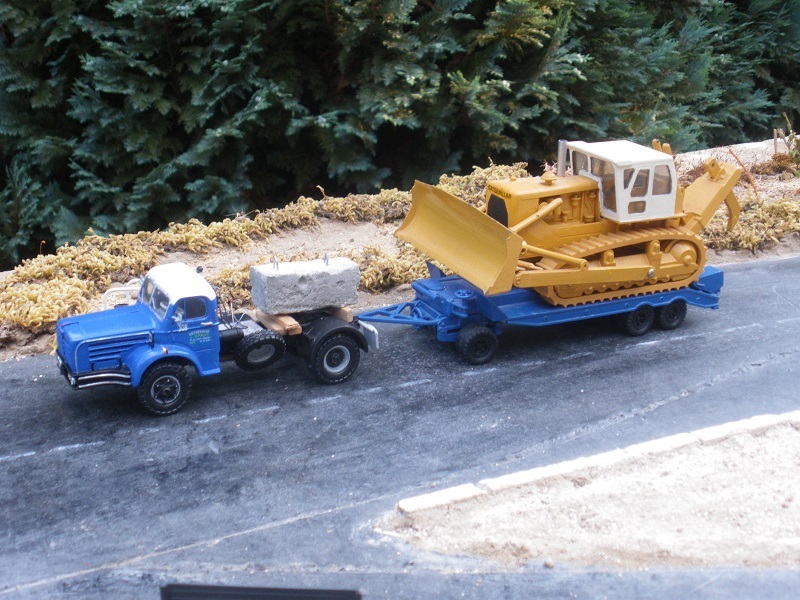 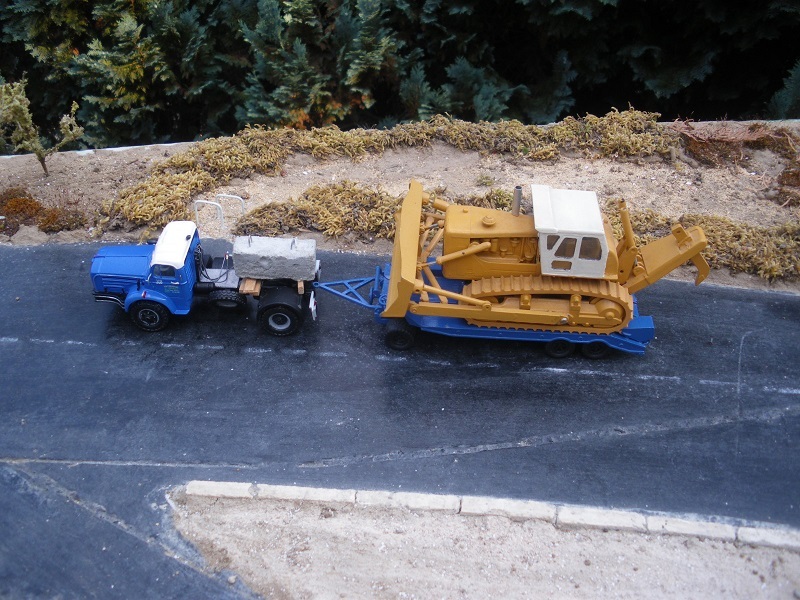 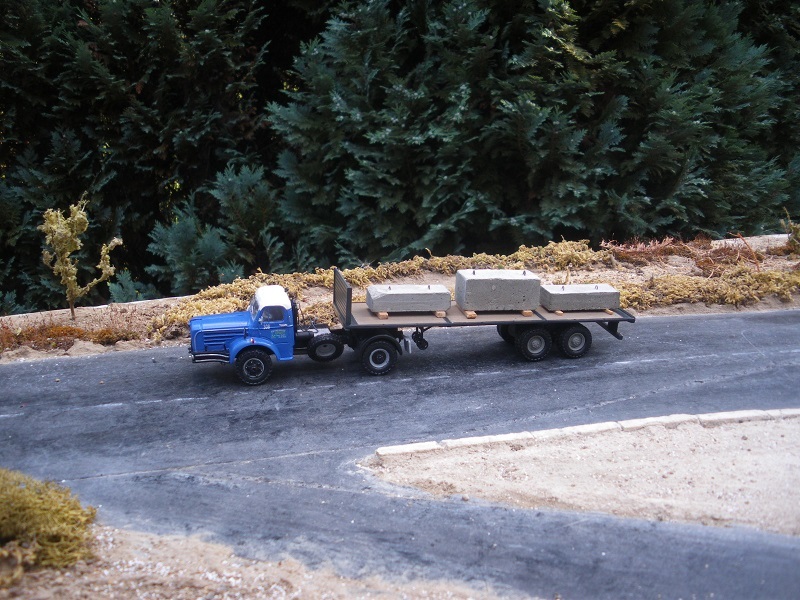 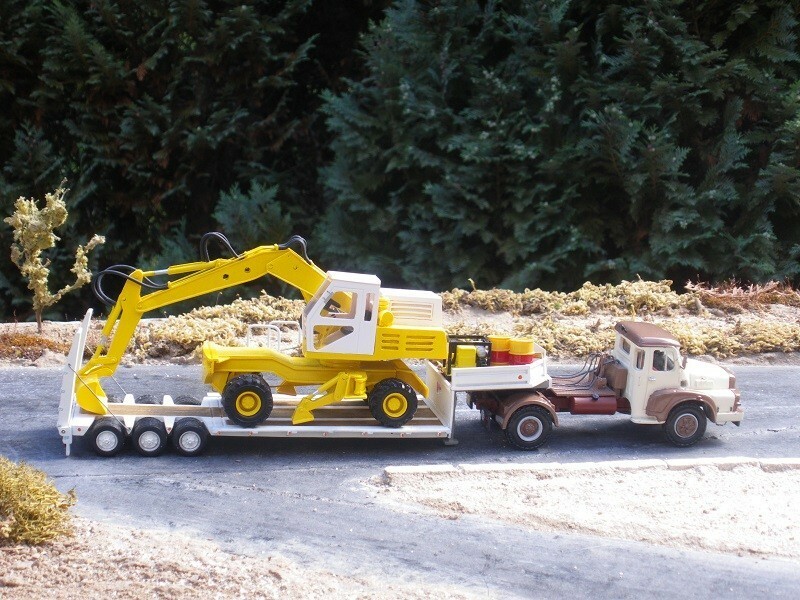 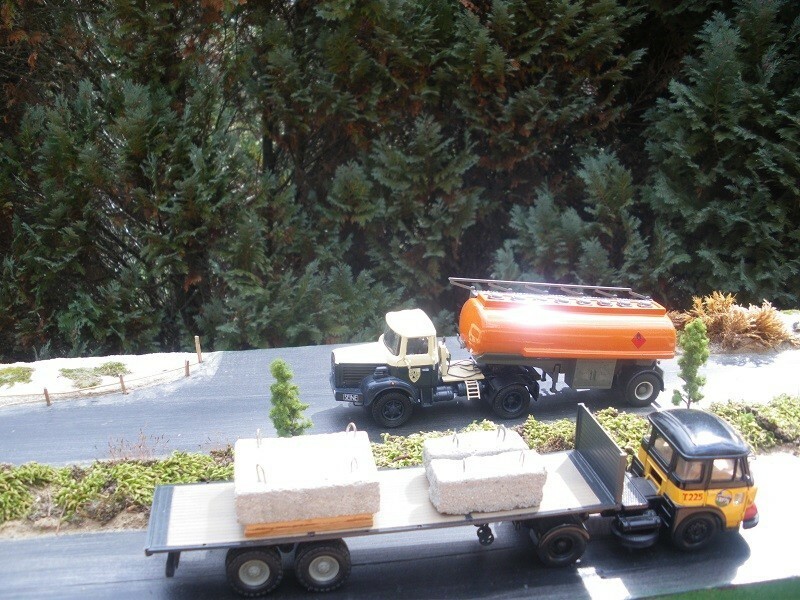 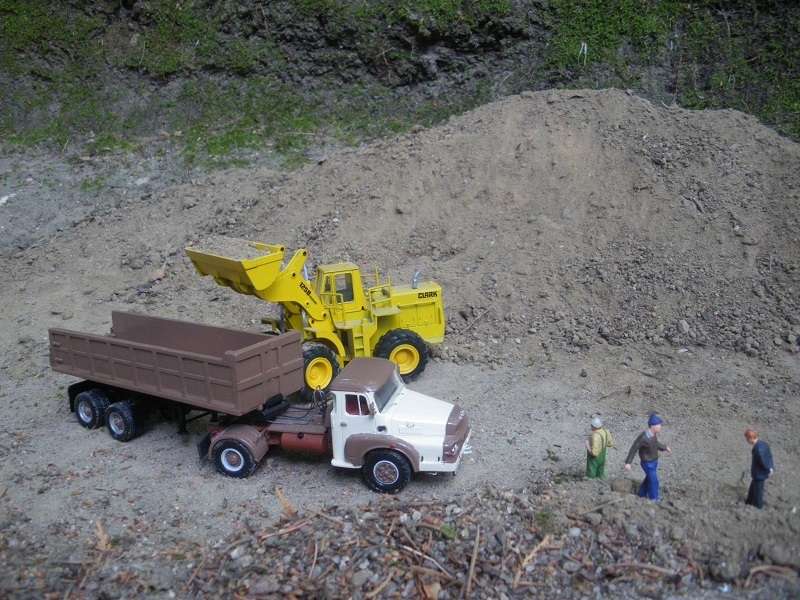 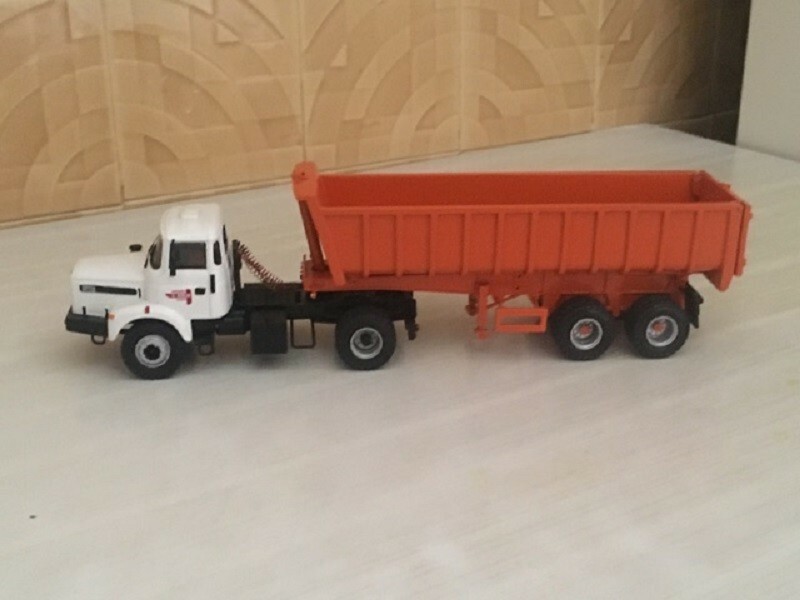 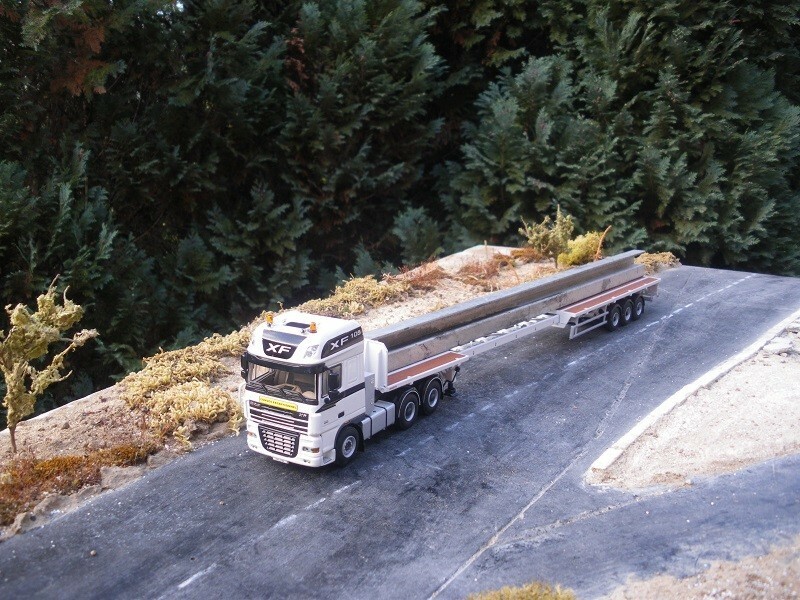 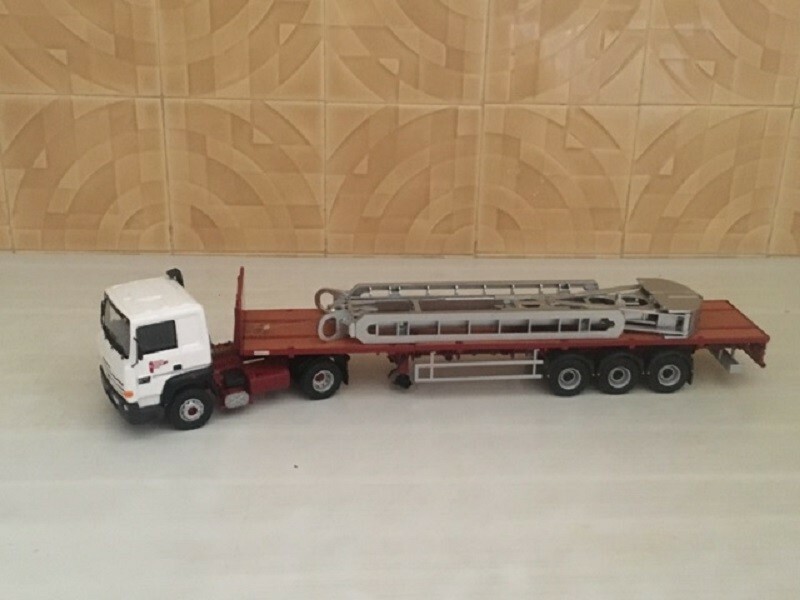 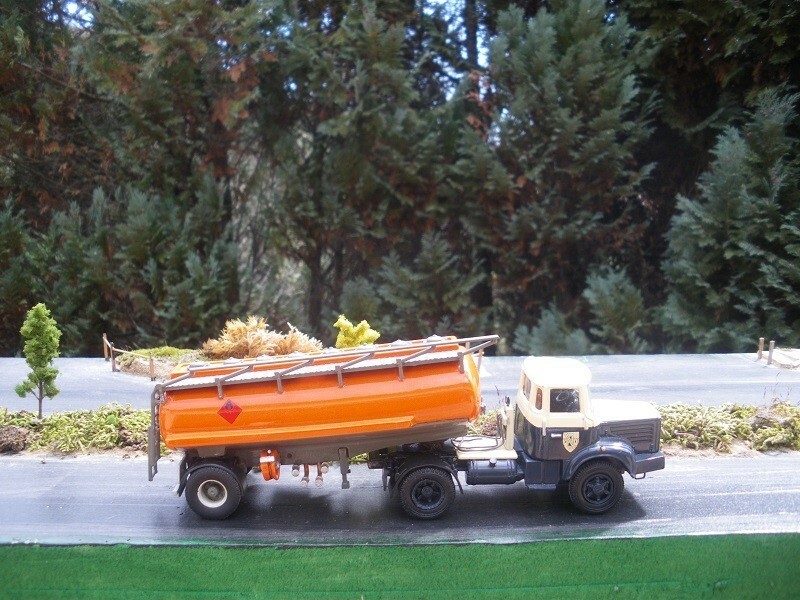 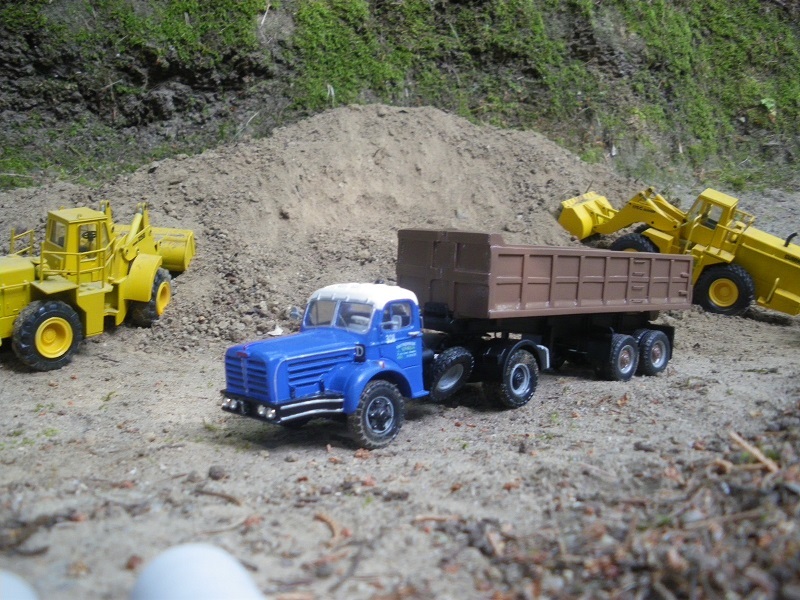 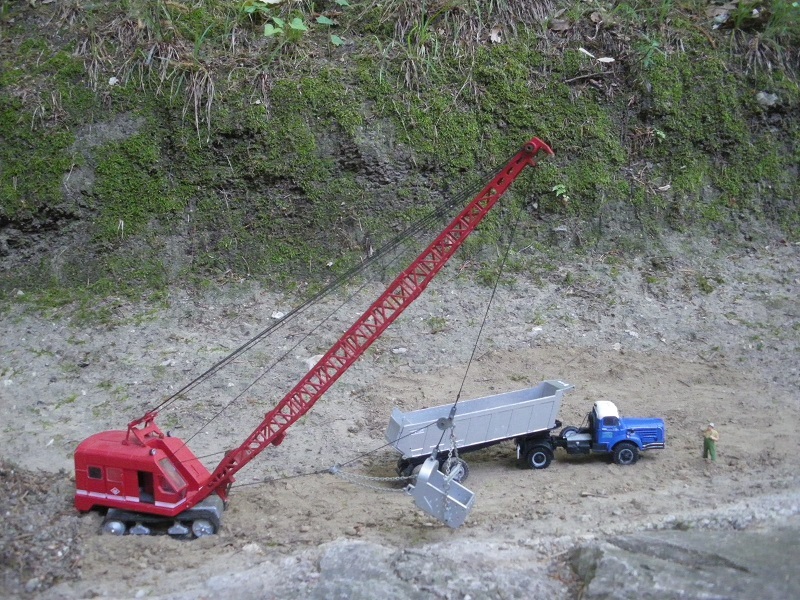 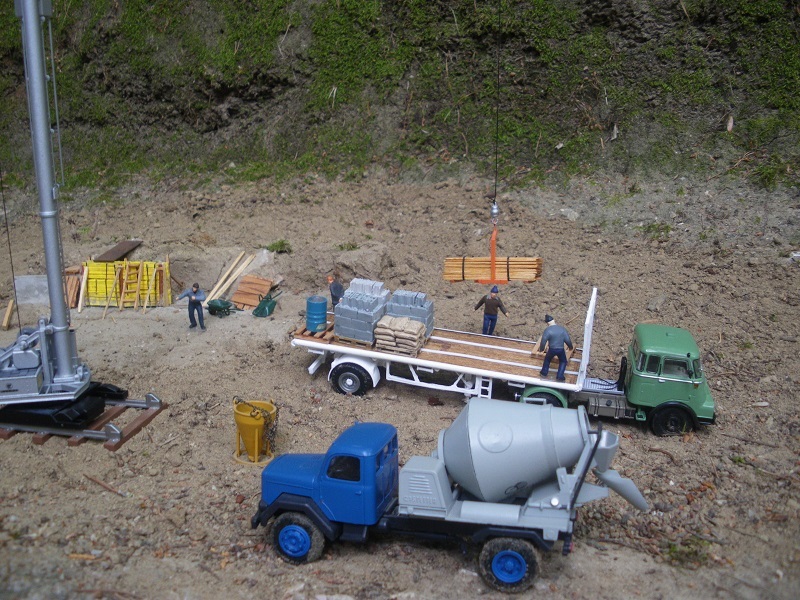 I have already posted in this topic pictures from another member of Azur Modelisme - Gege - who collects 1/50 models of trucks he drove in the past. 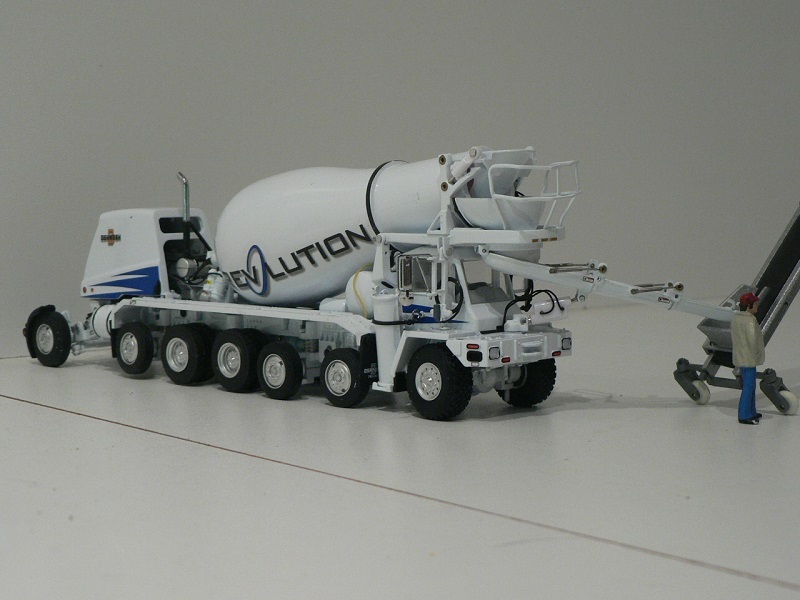 Interesting combo Guy, they used the same setup when pouring the floor of my new manufacturing plant. 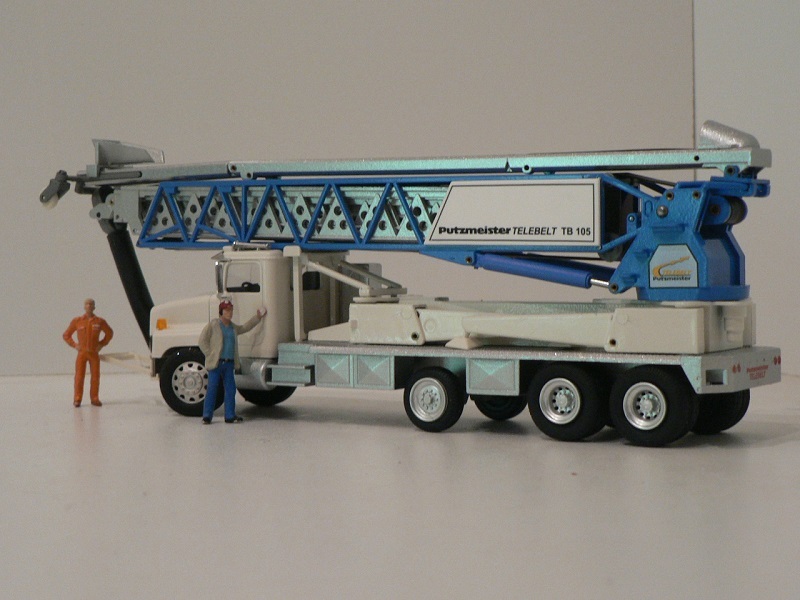 First for me, in spite of my entire life here in the US. 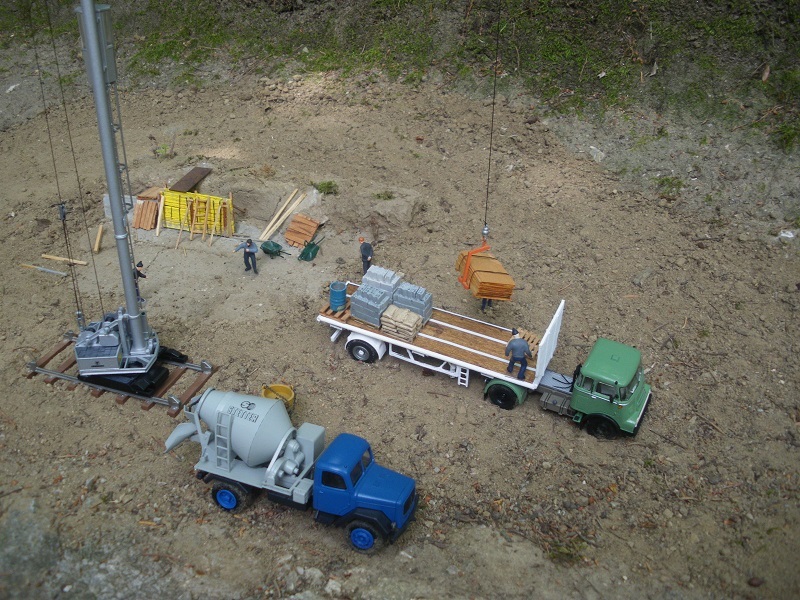 It worked quite well, the floor was poured after the walls and roof were in place leaving little headroom for an articulated concrete pump. 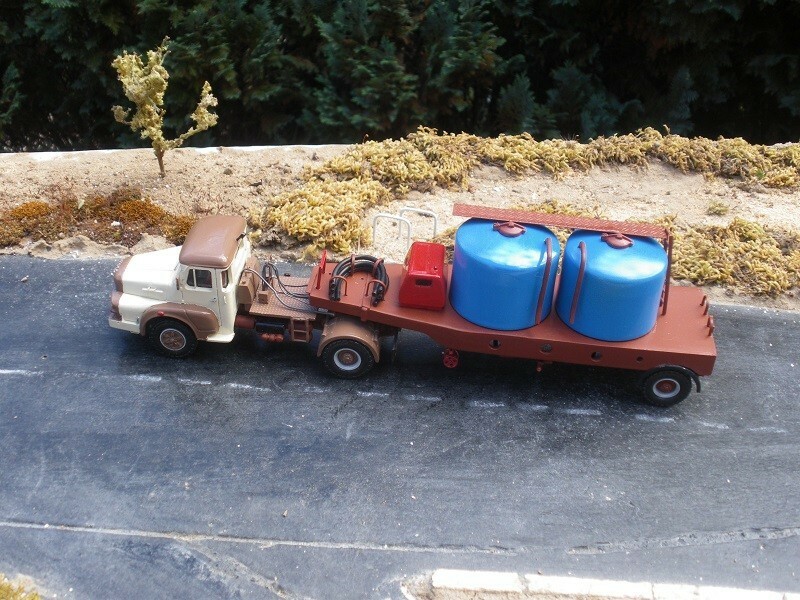 And yes, the front-discharge mixers are about all we have in my area. 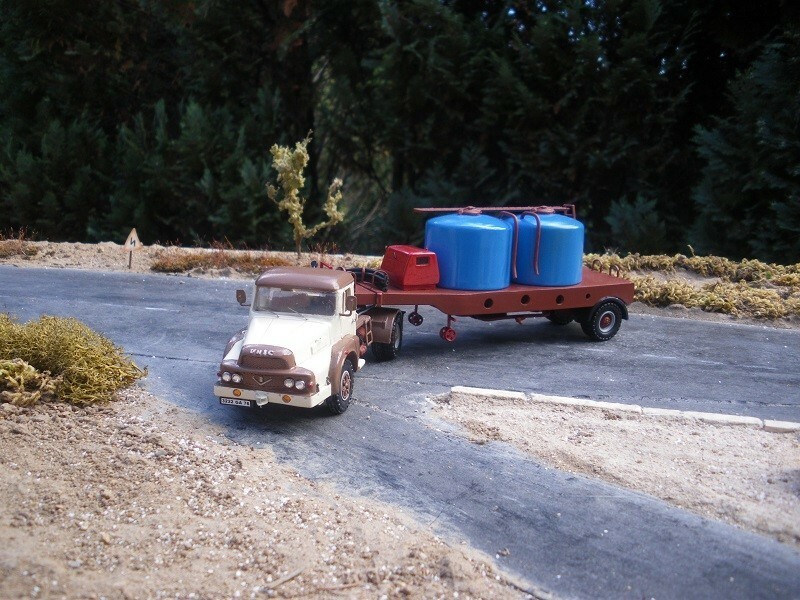 I gotta believe it's easier for the driver! 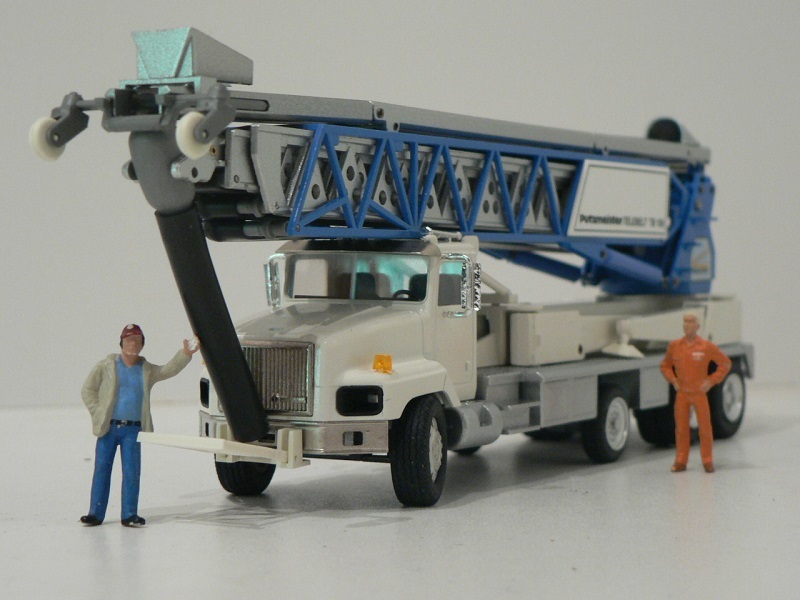 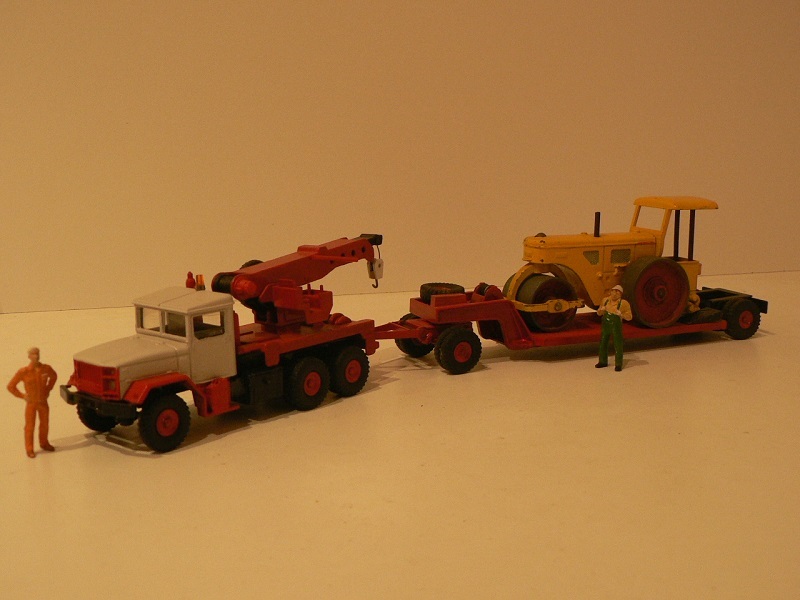 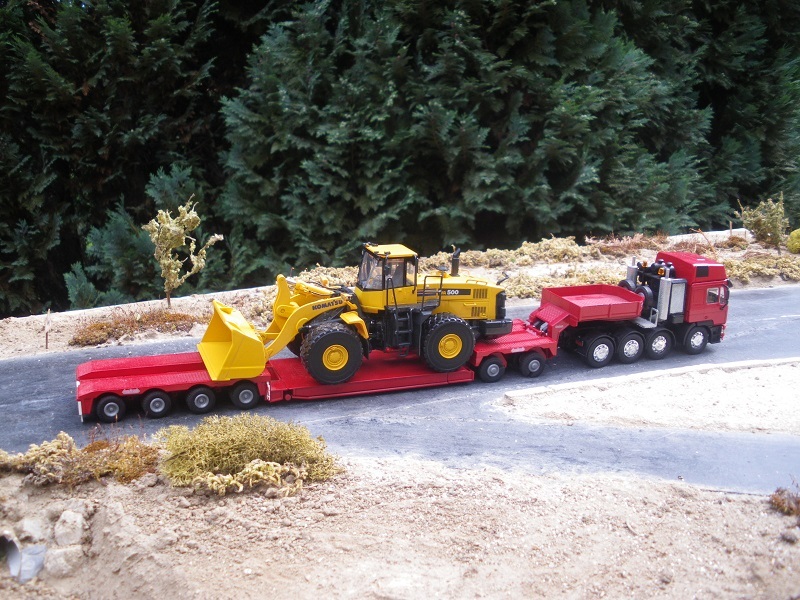 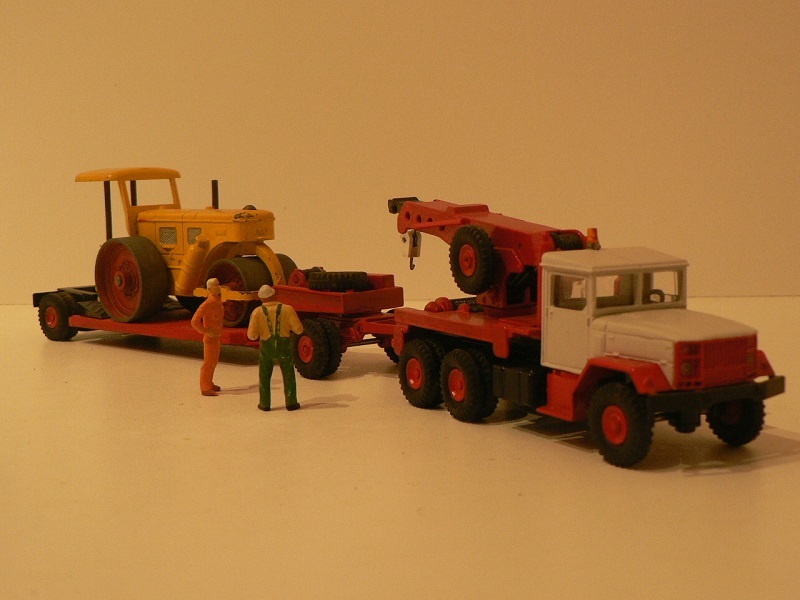 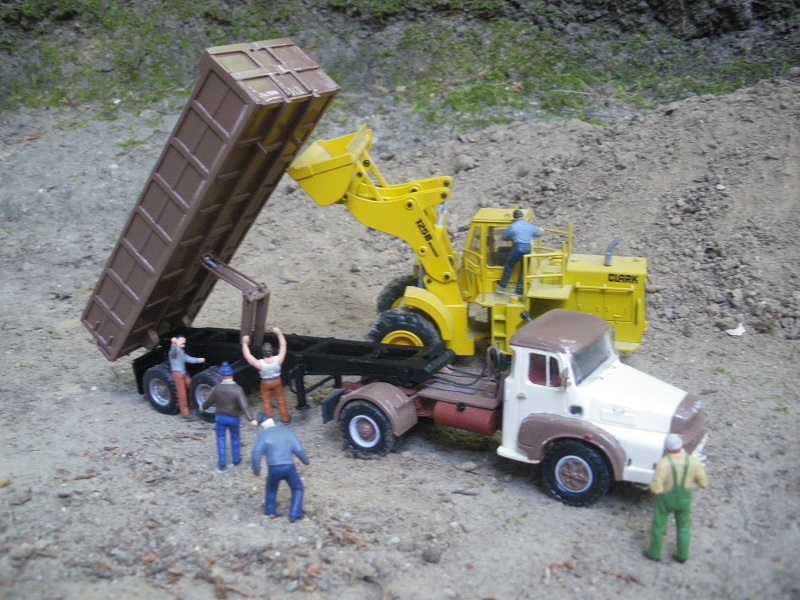 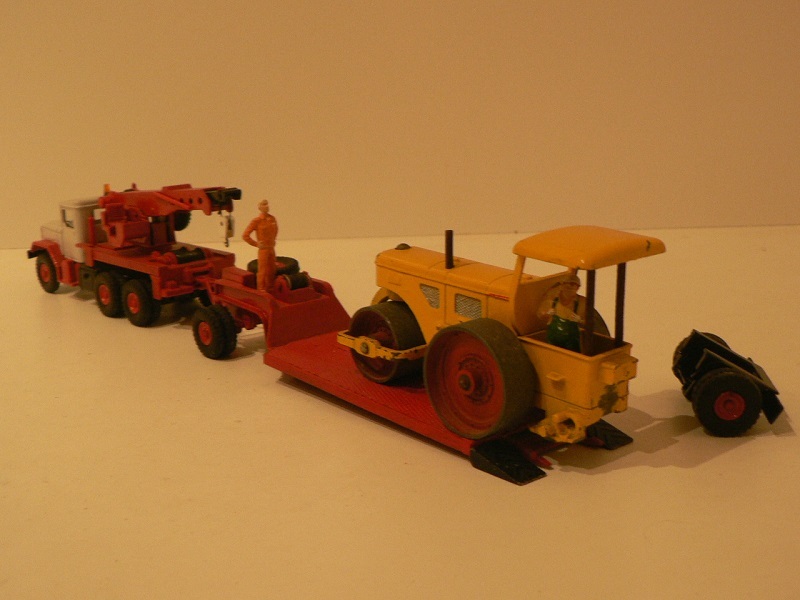 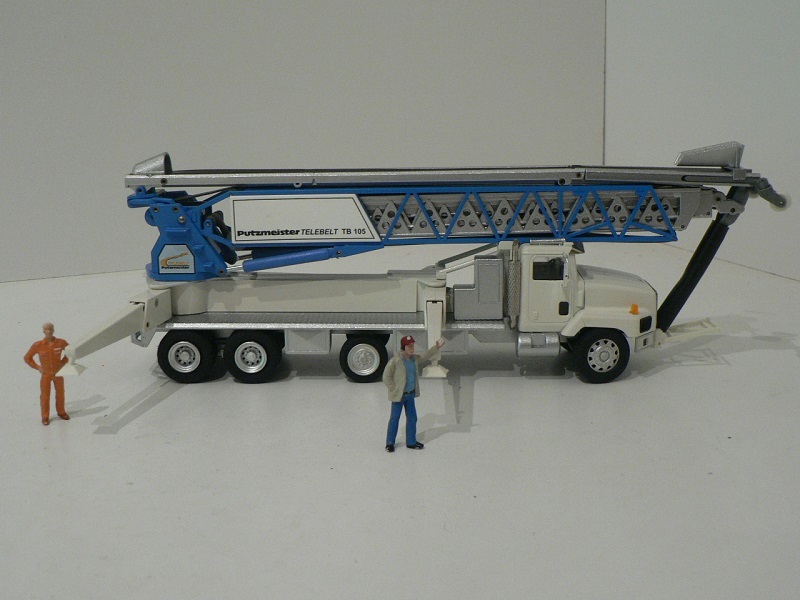 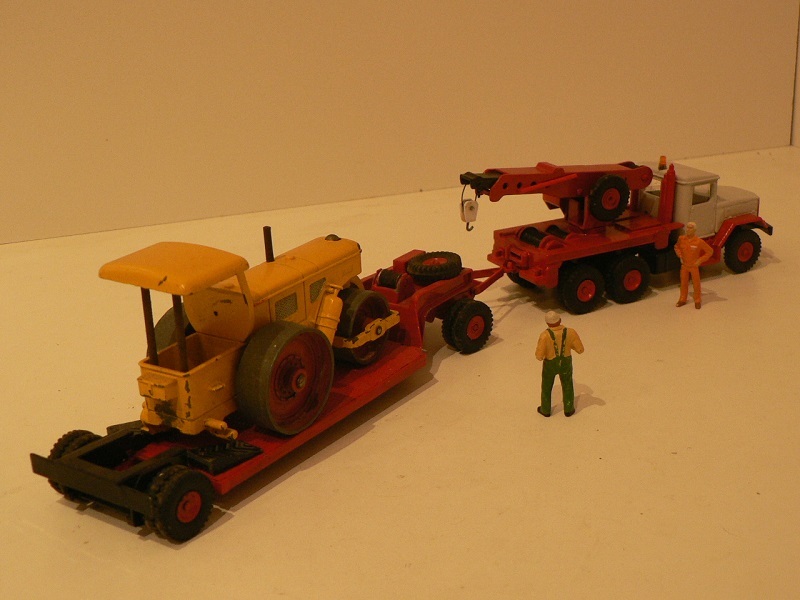 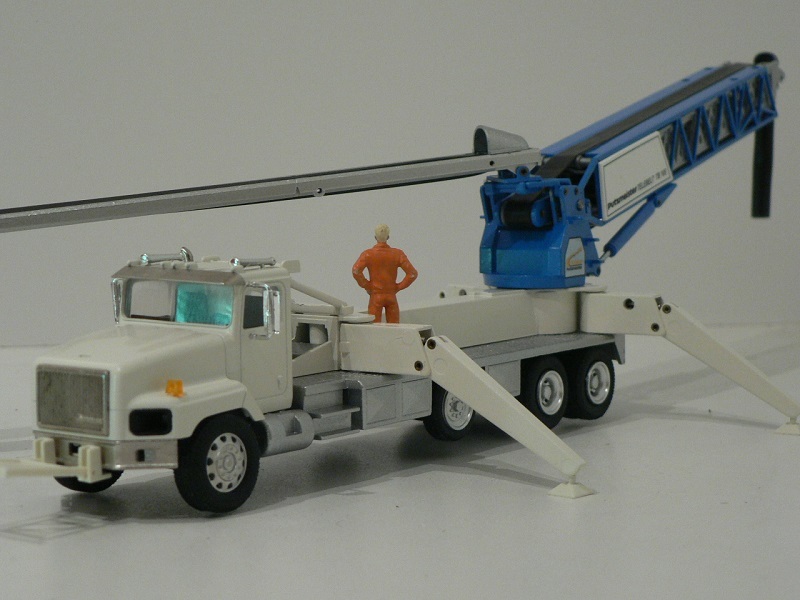 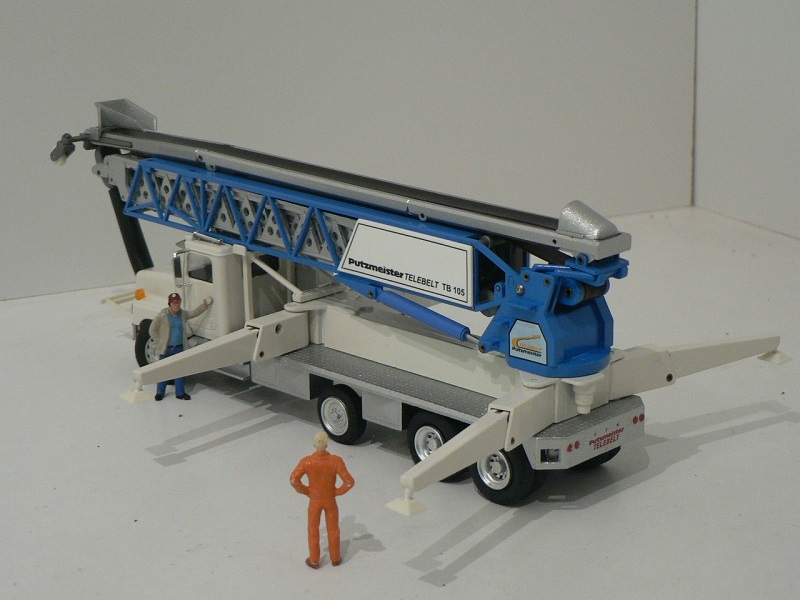 Guy the telescopic belt is a great model from Conrad, I have the version with the Mack cab.